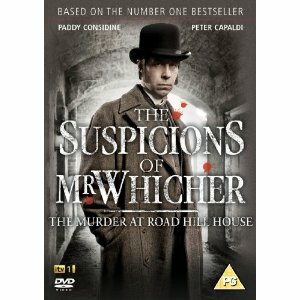 I did not know there was a TV adaptation of this! I loved the book too, so now I’m very curious about it. Great review of the book, I enjoyed it as well but not enough to want to find the tv adaptation I have to admit. I read this book a week or two ago and loved it. I had no idea there was a TV adaption. I read this book on holiday last year and enjoyed it very much. I forgot about the TV production, hopefully I can catch it on iPlayer or catch up tv sometime. Wow, it definitely looks like everyone’s read and enjoyed this book:) I have to agree that it certainly read more like fiction rather than non-fiction which added to the excitement. The tv adaptation is still available to watch on itv player for uk viewers for the next two weeks so hurry if you want to watch it! I have heard a lot about this book and it is definitely one that I would like to read. I love mysteries, and think I would like certain bits of true crime (for instance, I really enjoyed Erik Larson’s Devil in the White City). I didn’t realize a tv adaptation had been made of this book, but I bet it would be fun! I tried to read the book when it first came out, but all the detail in the beginning did me in. For some reason it couldn’t keep my interest. But I think, after reading your review, I’ll give it another go. I can’t remember considering the 16 year old daughter a suspect – which must mean I didn’t get far enough. Because I can’t imagine putting it down after learning that. Great review Sakura. I read this just before the hype really started to kick off and then it got chosen by a certain book group etc, and I was smitten with it. 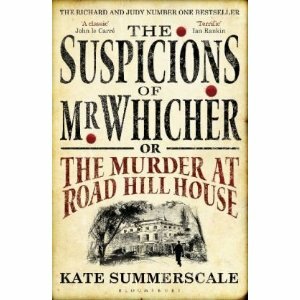 I loved all the aspects from the crime itself, Whichers life, how the case affected literature and policing… I could go on and on. The TV adaptation was dreadful, I fell asleep… not what should be happening with a tale like this one. I’d heard so much about it too, but somehow never got around to reading it until I realised it was going to be on TV. I thought the adaptation was ok, although it didn’t catch the pace and thrill of the book, but the best thing about it was the actor playing Mr. Whicher.